Hi! 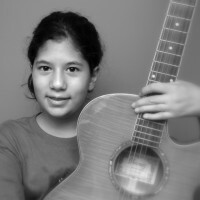 My name is Joanna and I’m so glad you visited my website. 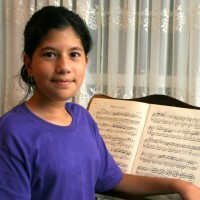 I’m 15 years old and love to play the piano, in spite of a physical condition known as arthrogryposis multiplex congenita (or AMC for short). Because of this condition, it is more of a challenge for me to fully use my arms and legs compared to most people. 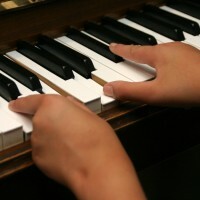 So on the piano, I essentially only have use of 2 fingers in each hand. 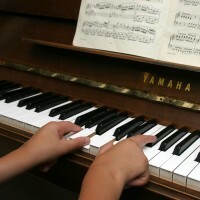 It hasn’t stopped me from learning to play the piano and learning to enjoy music in general. My parents discovered that I would be born with this condition while I was still in my mother’s womb, and the doctor suggested that they abort me. My parents thanked the doctor for his advice, walked out, and never looked back. And when I was born, they were so happy to meet me, they named me Joanna Joy. In fact, my nickname is JoJo because my middle name is Joy. So you can call me Joanna Joy, or JoJo. 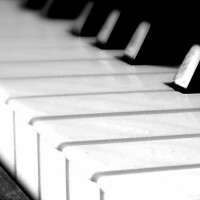 I hope you like what you see here on the website, and I hope you’ll purchase our music — part of the proceeds of your purchase will help support groups like the duPont Hospital for Children in Delaware and Joni and Friends. In the future, I hope to have a few guest artists join me as well so I think you’ll enjoy the recordings. Thanks again for visiting, and come back again!